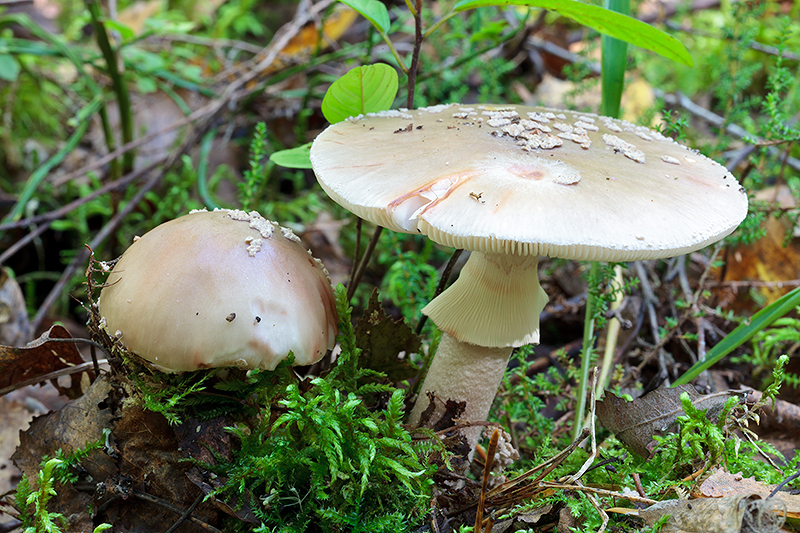 The traditional Rõuge mushroom days started today. Mushroom enthusiasts and mushroom gurus have been in the forest, observing, learning and collecting mushrooms. Although summer has been parsimonious with rain in this neighbourhood there was enough to see in the woods. Every year different species catch the eye. This year there are notably many different amanitas. Three of them came into my camera focus. All quite common and beautiful mushrooms. Did you know that all amanitas actually don’t have a nice skirt or ring around their stem? The tawny grisette (Amanita fulva) is like that. 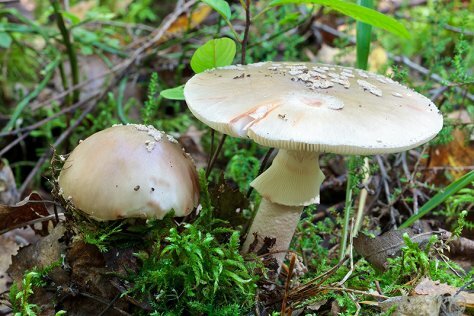 It is one of the most common mushrooms in our forests. So if you find a mushroom with no ring then, before thinking of eating, check the stem of the mushroom too – the tawny grisette definitely has a cup. The mushroom world often has a habit of playing hide-and-seek with colours. 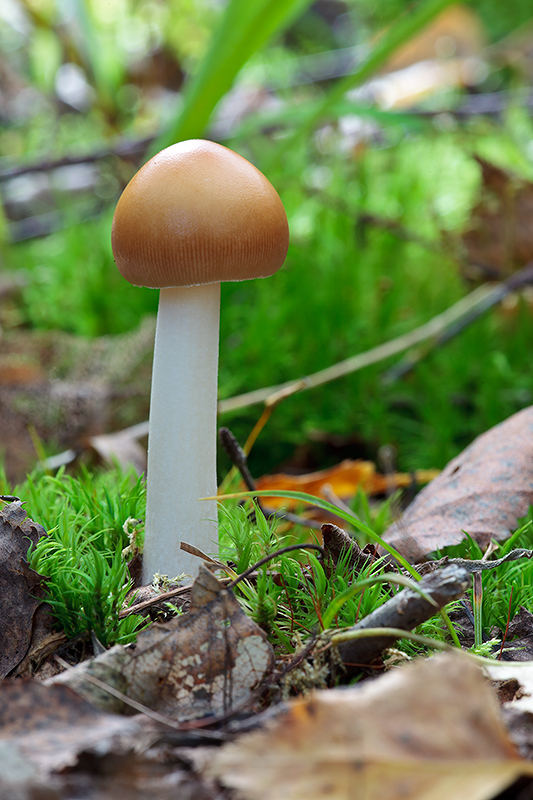 The name of the mushroom hints at one colour, but in the forest a differently coloured mushroom grows. The blusher (Amanita rubescens) can play such hide-and-seek with us. Look as best you can, its cap is still delicately green. But spots that are damaged do turn pink. But it is impossible to have the amanitas without the mushroom classic. 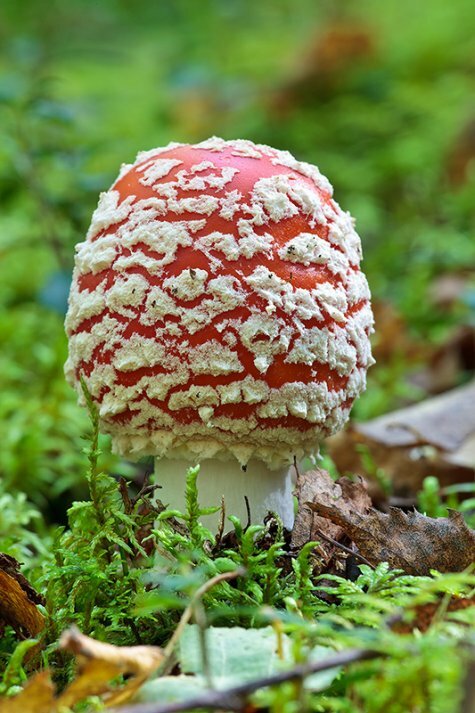 Of course the fly agaric (Amanita muscari) is the one whose bright caps simply cannot be unnoticed. They are pretty when full-grown, but the young mushrooms-to-be, just come up above ground, are particularly loveable. Red hues on a background of green moss – ambrosia for eye candy gourmets. The exhibition tables that opened in the evening have already received 84 species. Guesses were offered as to when this number would be doubled or trebled. Obviously faster than anyone dares to believe. Anyway – welcome to Rõuge. Being in the mushroom forest is cool!